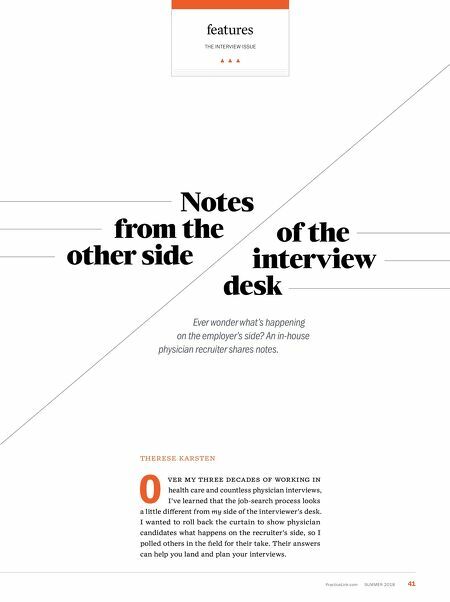 PracticeLink.com S UMMER 2018 41 features THE INTERVIEW ISSUE ▲ ▲ ▲ THERESE KARSTEN O ve R MY th R ee D e CAD e S o F W o RKING IN health care and countless physician interviews, I've learned that the job-search process looks a little different from my side of the interviewer's desk. 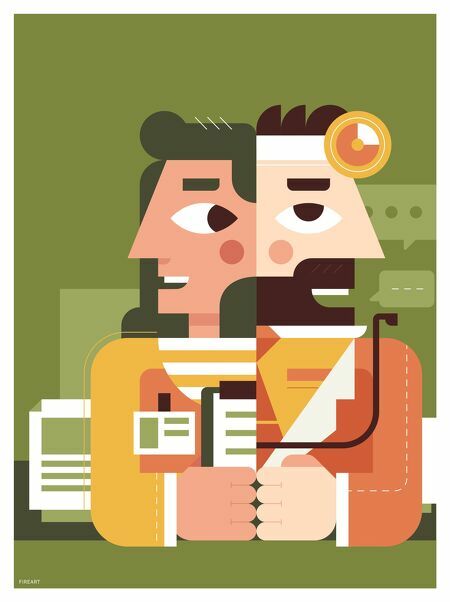 I wanted to roll back the curtain to show physician candidates what happens on the recruiter's side, so I polled others in the field for their take. Their answers can help you land and plan your interviews. Notes from the other side of the interview desk Ever wonder what's happening on the employer's side? An in-house physician recruiter shares notes.